The following comments about attractions in Johannesburg have been posted from individuals. We believe that the best reviews of Johannesburg, South Africa are written by travellers and holiday makers who have experienced Johannesburg first hand and want to share their thoughts. Can you share yours? Please help us expand this section of our Johannesburg World Guide. Let us know what you think about the attractions in Johannesburg, South Africa. 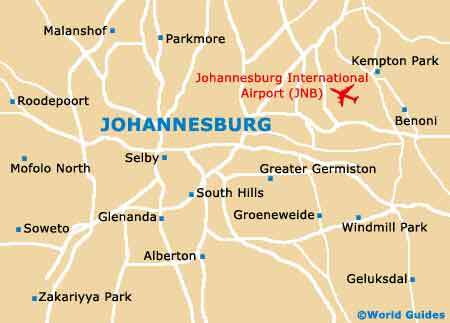 Submit comments about Johannesburg attractions here. Regarded as the best on the planet, let alone just South Africa, Johannesburg Zoo is noted for its cleanliness and tidiness instead of just the animals it plays host to. Most hotels run package tours to this attraction, which is rivalled only by the Lion Park that is around 45 mins from the city centre and most accommodation. We decided that there is no fun in playing it safe all the time and wanted to get up close and personal to the famous townships that have long played host to Joburg's less fortunate. It was refreshing to see just how well people seemed to be getting on in the South Western Townships that truly are a melting pot of culture. Agreed! Loved every minute of Montecasino and was actually able to forgive my husband for temporarily dumping me on our honeymoon break. While all the top fashion names can be found here for spoiling yourself, there are great gifts for those you left back home. We thought that the Montecasino would not be out of place on the Las Vegas strip as it provides more than just the chance to top up your holiday spending money at the craps table. Inside, there is a bird park, shopping centre, and movie theatre. It was great to keep my wife and kids, as well as myself, all entertained under one roof. 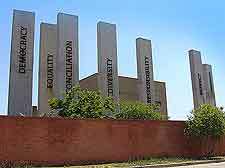 Rather than attempt to brush its sometimes chequered past under the carpet, South Africa wishes its citizens and visitors to learn more about a controversial part of its history at The Apartheid Museum. Personally I view this attraction as a must for all tourists and it is easy to find at three and a half miles from Johannesburg city centre.